Have you ever seen Parks and Rec? 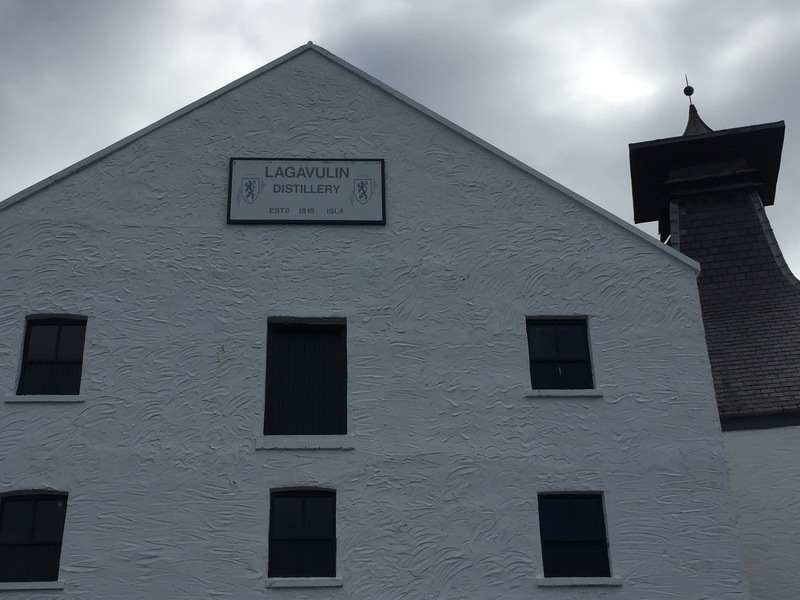 This is the distillery that Ron Swanson visits. 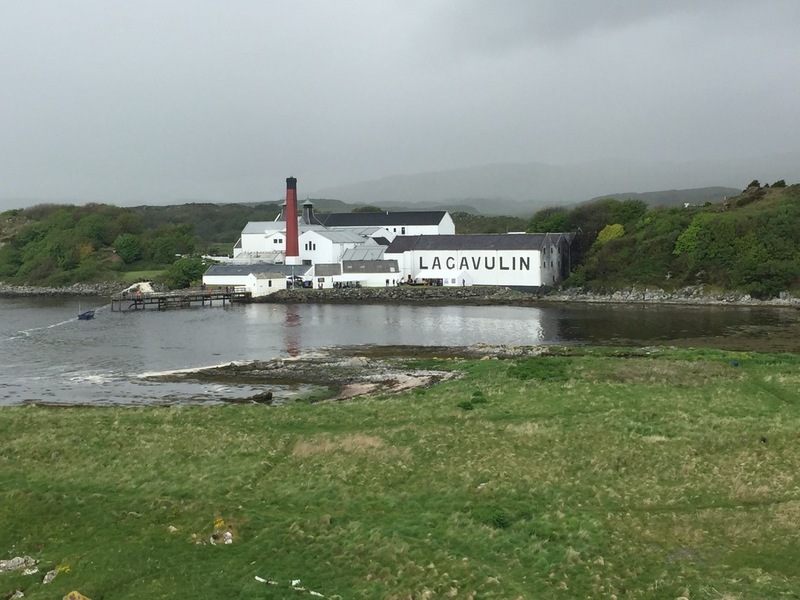 Lagavulin was stop one for us during Islay’s weeklong whiskey festival. They turned 200 this year (2016). 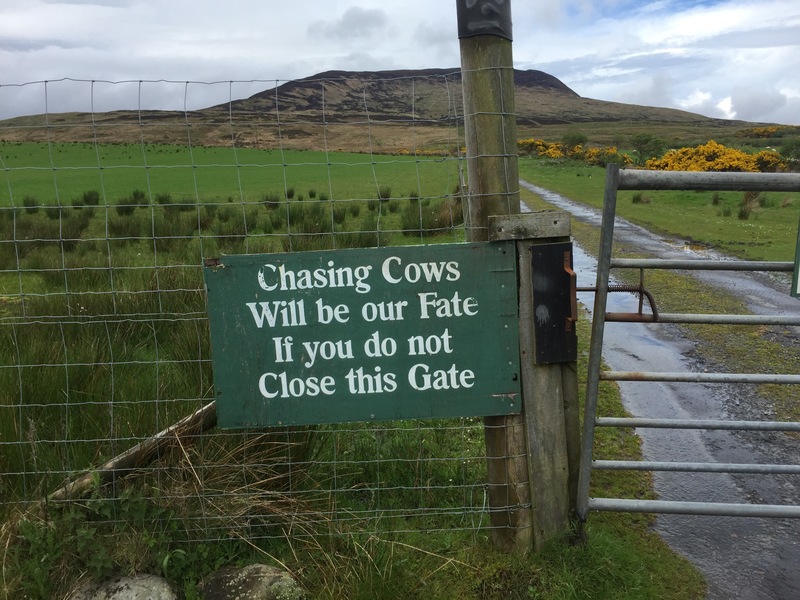 We just happened to pick the day they were releasing their special offering to visit. There was already a long line of people waiting to get their 125 GBP bottle. You have to realize that the roads tend to be one way with passing places so to have that many people in one place caused some problems for parking and passing. 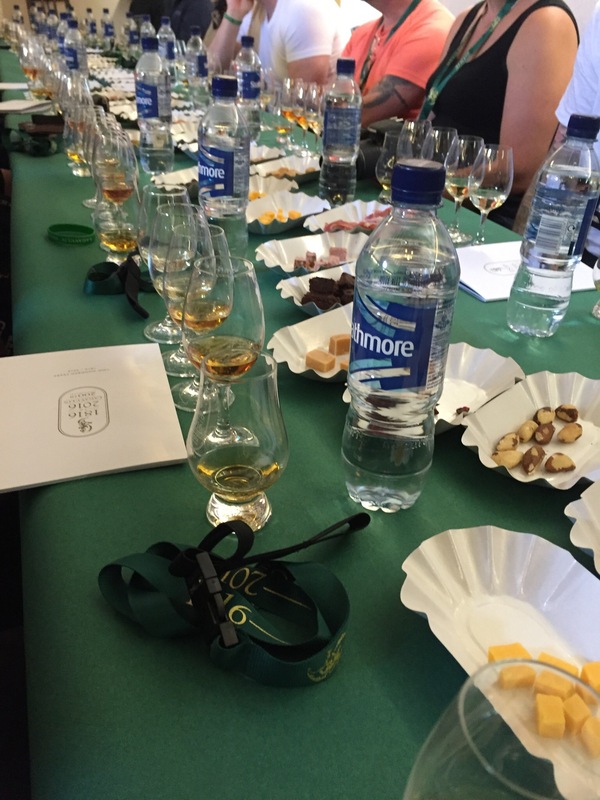 We were signed up for a whiskey food and tasting master class and made it just in time. The instructor had us start off drinking a smokey whiskey. Then we put a mint on our tongue and had another sip. The smokiness disappeared! 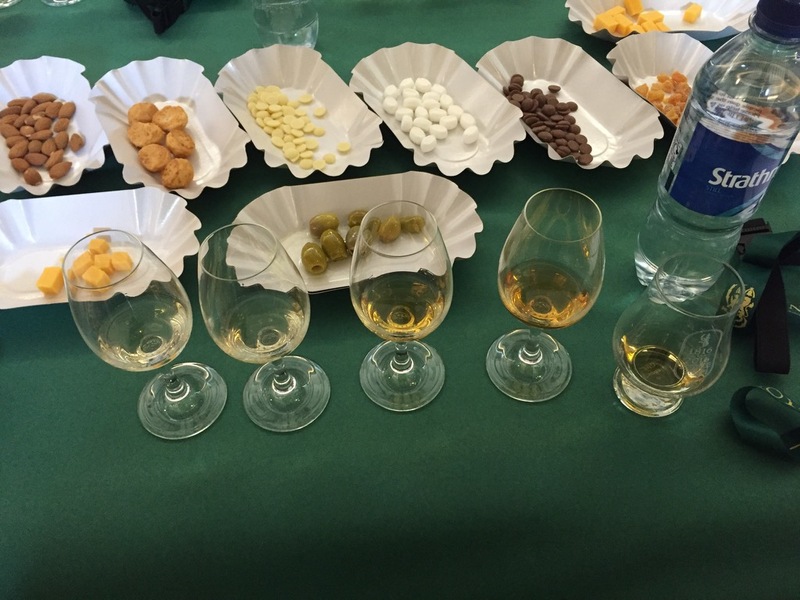 We matched our various whiskies with an assortment of food. It was quite a treat for our taste buds. 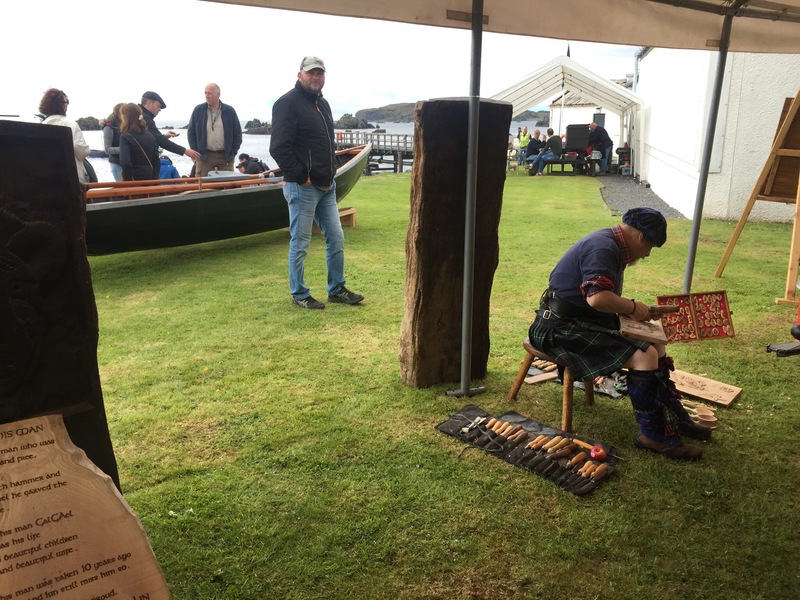 Wandering around the grounds, there was a bag piper, food offerings, and a crafts area. 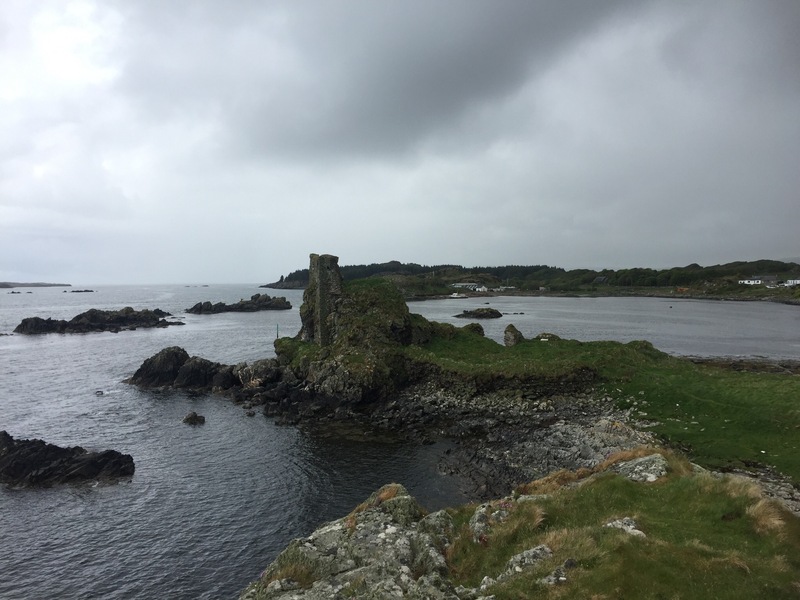 We walked along the rocky shore to the castle ruins for a great view back on the distillery. After our visit we decided to keep going on the road. 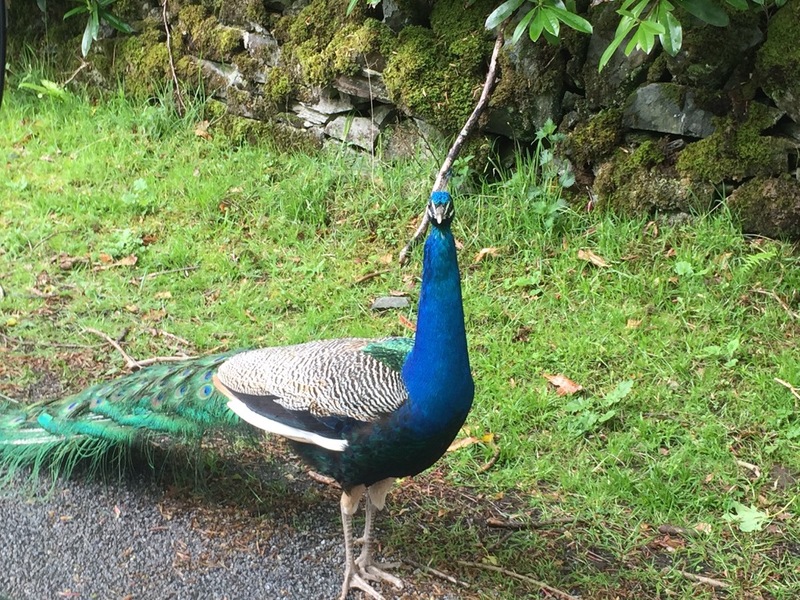 This random adventure allowed us to meet a peacock, find the Kildalton cross and ruins, and find an honor system coffee, cake, and tea stand. We seemed to peak the interest of some nearby sheep as well who came to take a look. 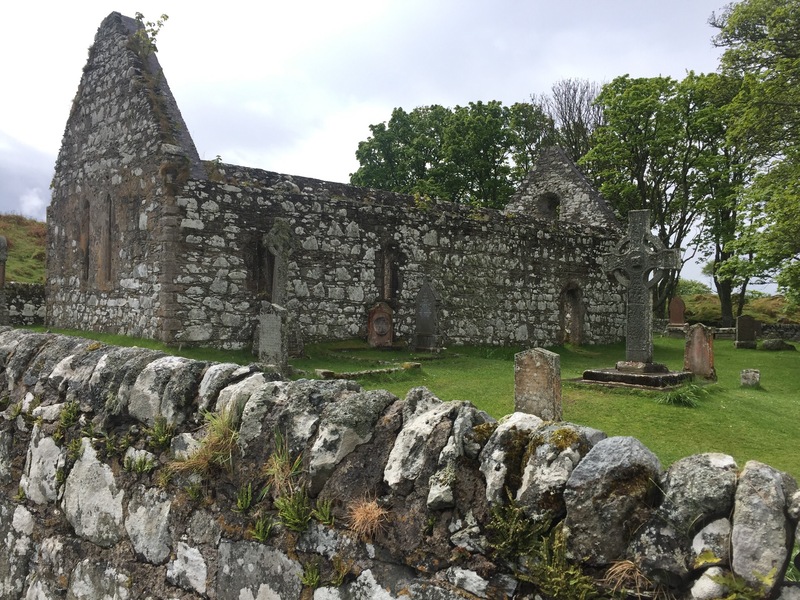 This entry was posted in Uncategorized and tagged Islay, Kildalton Cross, Lagavulin, Scotland, Whiskey on June 18, 2016 by kermit206. 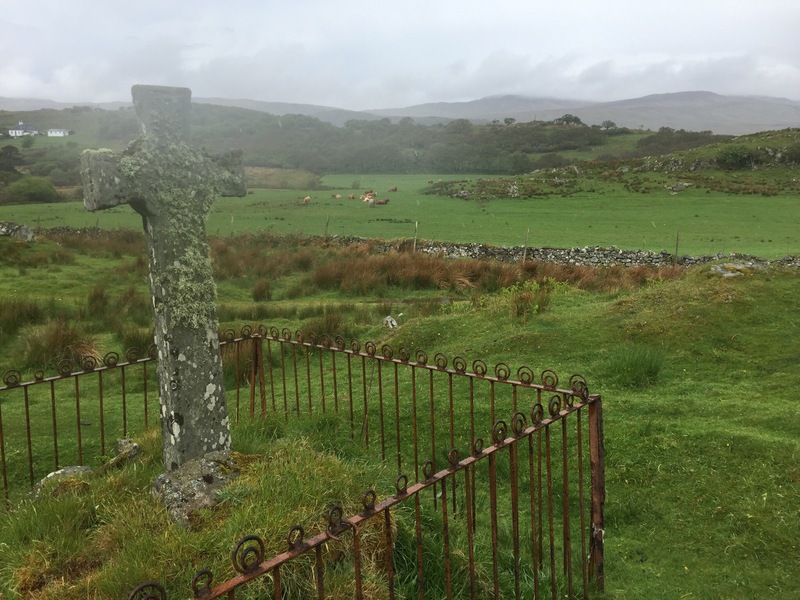 Lovely photos of a beautiful Island. 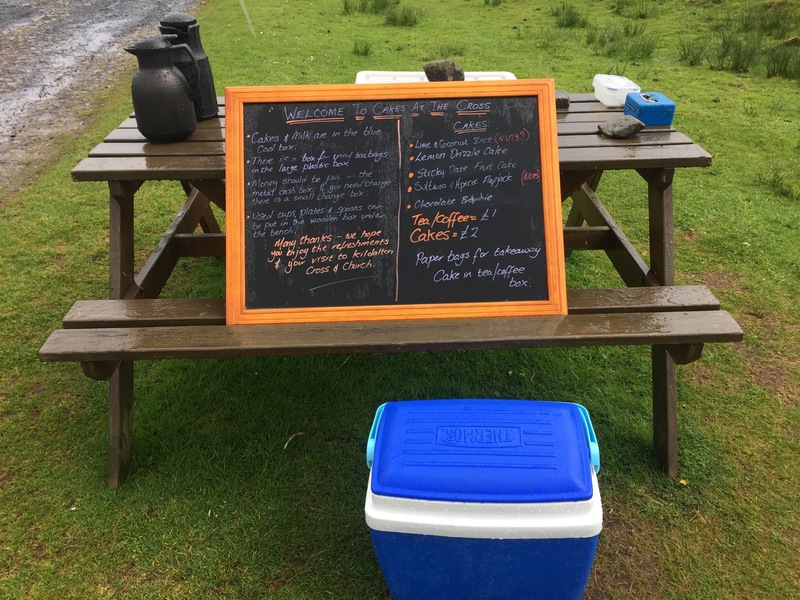 I loved that wee honesty box of coffee and cakes at Kildalton.